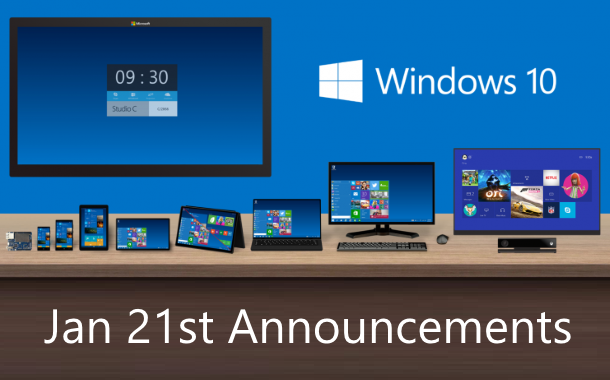 Apparently there’s going to be a “significant” event related to Windows 10 on January 21st. Come along and hear all the news and discuss what it could mean for you and the apps you’ve made or are thinking about. As a group we’re all about helping everyone create great, successful apps and that means more than just hearing the latest news. The benefit of meeting in person is that it’s easier to learn from other people directly. At this meeting we’d like to provide an opportunity to make it simple to meet and learn from others in attendance. As a way of doing this we’re going to have a “speed networking” session. It’s a simple, non-threatening, way of meeting similar people and learning from them. We hope you’ll take part. We’d also like to learn from each other’s apps in a collective capacity. To do this we’d like to host another “Pimp my app” session. If you haven’t attended this previously it’s where someone volunteers their app to receive expert suggestions, comments and feedback to help make it better and this is shared with the group. If you’d like your app pimped please let us know in advance. Additionally, as with past meetings, if you’ve got an app you want to demo or talk about we’d love to hear from you too. Or, if you’d prefer not to use meetup, you can also register your intent to come on: Eventbrite, Lanyrd, Twitter, KweekWeek, Microsoft Technical Communities, Google+ or Facebook. There is absolutely no reason to register at more than one of the above. Just use whatever is the easiest for you.